CHRIST MUST TOUCH OUR SPIRITUAL VISION AND BRING NEW LIFE TO OUR DEAD SPIRITUAL SOUL. IF CHRIST HAS NOT TOUCHED YOUR EYES, YOU ARE NOT SEEING. THERE ARE SO MANY PEOPLE RIGHT IN OUR CHURCHES TODAY WHO ARE BLIND AND DON’T KNOW IT. SOMETIMES PEOPLE WILL SAY TO ME THAT I SAID SOMETHING NEW, AND THAT ALL OF A SUDDEN THERE EYES WERE OPENED AND THEY UNDERSTAND. JUST LIKE THE POOR YOUNG MAN IN THE MINE EXPLOSION, THERE ARE PEOPLE STANDING IN THE LIGHT OF THE WORD OF GOD WHO SAY, “WHY DOESN’T SOMEONE TURN ON THE LIGHT?” THAT’S WHAT PONTIUS PILOT DID. HE ASKED, “WHAT IS TRUTH?” AS HE IS STANDING RIGHT IN THE PRESENCE OF THE ONE WHO SAID, “I AM THE WAY, THE TRUTH, AND THE LIFE.” WE NEED TO LET CHRIST TOUCH OUR EYES, SO WE CAN SEE. I WANT TO STOP HERE AND SHOW YOU HOW THE CONDITION OF THE BLIND MAN PARALLELS OUR CONDITION AS SINNERS BEFORE WE WERE SAVED. 1. THE BLIND MAN WAS OUTSIDE THE TEMPLE WHEN HE MET JESUS. HE WAS SHUT OUT FROM GOD. THAT’S WHAT PAUL SAID IN EPHESIANS 2:12. HE SAID THAT WE WERE STRANGERS FROM THE COVENANTS OF PROMISE, THAT WE HAD NO HOPE; WE WERE WITHOUT GOD IN THE WORLD. THAT’S THE CONDITION OF EVERYONE BEFORE THEY’RE SAVED: WITHOUT GOD, WITHOUT HOPE, SHUT OUT! 2. THE MAN WAS BLIND. HE WAS UNABLE TO SEE THE SAVIOR. BUT THE BIBLE SAYS WE WERE BLIND WHEN WE WERE WITHOUT CHRIST. LET ME ASK YOU A QUESTION? “DID YOU SEE HIM AS YOUR SAVIOR BEFORE YOU WERE SAVED? WAS HE THE WONDERFUL ONE TO YOU THEN?” NO! WE WERE BLIND. 3. THE MAN HAD BEEN BLIND FROM BIRTH. WE WERE BORN IN SIN. WE CAME INTO THIS WORLD AS SINNERS. 4. THE BLIND MAN WAS BEYOND HUMAN HELP. NOBODY HAD A CURE FOR HIS BLINDNESS. WE WERE HELPLESS SINNERS IN THIS WORLD AND NO ONE HAD A CURE FOR US. 5. HE WAS A BEGGAR. THIS IS WHAT HURTS A LOT OF PEOPLE. THEY HATE TO ADMIT THEY ARE BEGGARS. THEY WOULD BE WILLING TO PAY FOR SALVATION, BUT IT IS NOT FOR SALE. YOU HAVE TO COME TO GOD FOR SALVATION LIKE THE BEGGAR DID. GOD GIVES IT AWAY. THIS BEGGAR COULD NEVER HAVE BOUGHT SALVATION, BECAUSE HE DIDN’T HAVE ANY MONEY WITH WHICH HE COULD BUY IT. 6. HE MADE NO APPEAL TO JESUS. HE DIDN’T KNOW JESUS. IT TOOK A LONG TIME FOR HIM TO GROW IN THE GRACE AND KNOWLEDGE OF JESUS CHRIST. FRIENDS, DID YOU REALLY WANT TO GET SAVED? WERE YOU LOOKING FOR SALVATION? WERE YOU LOOKING FOR THE LORD JESUS? IF YOU’RE LIKE THE AVERAGE PERSON YOU WERE NOT. YOU WERE NOT LOOKING FOR HIM, BUT HE WAS LOOKING FOR YOU. 7. THERE WAS NO PITY SHOWN TO HIM BY OTHERS. THE JEWS PASSED HIM BY ON THE WAY TO THE TEMPLE. THEY HAD NO INTENTION OF SHOWING MERCY TO THIS MAN, AND THEY WERE NOT PREPARED TO DO ANYTHING FOR HIM. THIS IS THE PICTURE OF ALL OF US. CHRIST FEELS COMPASSION FOR US, AND CHRIST ALONE CAN HELP US. •	JESUS ALSO GAVE STRENGTH TO THE LAME. IT SAYS IN MATTHEW, “THEN THE BLIND AND THE LAME CAME TO HIM IN THE TEMPLE, AND HE HEALED THEM” (MATT.21:14). JESUS DIDN’T JUST HEAL A FEW, HE HEALED ALL OF THEM. SIN DISABLES PEOPLE. A BELIEVER WHO IS INVOLVED WITH SIN CANNOT HAVE A CHRISTIAN WALK, BECAUSE SIN HURTS OUR RELATIONSHIP WITH GOD AND HINDERS THE WORK OF THE HOLY SPIRIT. BUT, JESUS HAD A REMEDY FOR SIN. HE WAS ON HIS WAY TO THE CROSS. IT WAS AT CALVARY WHERE HE WOULD PAY OUR DEBT OF SIN BY SUFFERING AND DYING IN OUR PLACE. AS HE HUNG ON THE CROSS, HE SAID, “IT IS FINISHED.” HE MEANT THAT HE HAD DONE ALL THAT GOD REQUIRED, AND NOW ALL THE BARRIERS BETWEEN GOD AND MAN WERE REMOVED. TODAY, IF WE CONFESS OUR SINS, HE WILL FORGIVE US AND “CLEANSE US FROM ALL UNRIGHTEOUSNESS.” THOSE WHO ARE LAME DUE TO SIN DON’T HAVE TO STAY THAT WAY. THAT’S CHARACTERIZED BY SORES, SCABS, AND WHITE SHINING SPOTS BENEATH THE SKIN. THOSE WHO HAVE IT OFTEN LOSE FINGERS AND TOES. TODAY, THE ONLY THING THAT I CAN THINK OF THAT WOULD BE LIKE IT IS AIDS. BOTH DISEASES ARE TREATED BY ISOLATION, BECAUSE THEY ARE VERY CONTAGIOUS. LEPROSY DEGRADES THE PERSON IT CLAIMS. SIN CAN DO THE SAME THING. IT CAN DEGRADE AND DEFILE A PERSON. MORE PEOPLE ARE SICK FROM SIN THAN ANY OTHER DISEASE, INCLUDING LEPROSY. I’M NOT SURE, BUT I DON’T BELIEVE WE HAVE A CURE FOR LEPROSY. BUT THERE IS A CURE FOR SIN, AND HIS NAME IS JESUS CHRIST. THOSE WHO BELIEVE IN HIM HAVE ALL THEIR SINS FORGIVEN. THEY HAVE A CLEAN SLATE EVERY TIME THEY CONFESS THEIR SINS TO GOD AND ASK HIM FOR FORGIVENESS. •	JESUS ALSO ENCOUNTERED MANY WHO WERE DEAF. HE USED A VERY UNUSUAL METHOD TO HEAL ONE MAN WHO HAD A SPEECH IMPEDIMENT AND COULDN’T HEAR. MARK WROTE ABOUT WHAT HAPPENED IN THE 7TH CHAPTER OF HIS GOSPEL. ACCORDING TO MARK, SOME PEOPLE BROUGHT A MAN TO JESUS WHO WAS DEAF AND COULD NOT TALK PLAINLY. THE PEOPLE THAT CROWDED AROUND HIM BEGGED JESUS TO PUT HIS HAND ON THE MAN AND HEAL HIM. BUT INSTEAD, JESUS LED THE MAN AWAY FROM THE CROWD. 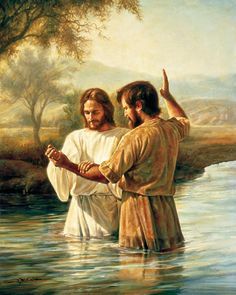 HE PUT HIS FINGERS IN THE MAN’S EARS AND THEN SPIT AND TOUCHED THE MAN’S TONGUE.THEN HE SAID TO THE MAN, “BE OPENED.” AT THAT INSTANT, THE MAN WAS ABLE TO HEAR AND TO SPEAK CLEARLY. I BELIEVE JESUS USED THIS METHOD IN ORDER TO HELP THE MAN’S FAITH. HE COULD SEE THE CONDITION OF THE MAN, SO HE DECIDED TO HEAL HIM IN THIS STRANGE MANNER. WE ARE NOT TOLD THAT JESUS HEALED THE MAN’S SIN PROBLEM, BUT I BELIEVE HE DID. AFTER ALL, DIDN’T JESUS SAY THAT THE REASON HE CAME INTO OUR WORLD WAS TO SEEK AND SAVE THOSE WHO ARE LOST. SIN CAUSES SPIRITUAL DEAFNESS. IT CAUSES US TO AVOID CHURCH AND TO TAKE OUT OUR BIBLES ONLY ON SUNDAY, IF AT ALL. BUT, THERE IS A CURE FOR THIS TYPE OF DEAFNESS. REMEMBER THE MESSAGE OF JESUS AND JOHN THE BAPTIST, “REPENT, FOR THE KINGDOM OF GOD IS AT HAND.” WHEN WE REPENT, WE ARE SORRY FOR OUR SIN AND WE CONFESS OUR SIN TO GOD. THAT IS WHAT OPENS THE COMMUNICATION LINES TO GOD, SO THAT WE CAN HEAR WHAT HE WANTS TO SAY TO US. •	IT’S PROBABLE THAT RAISING THE DEAD WAS THE MIRACLE THAT ASTONISHED THE GREATEST NUMBER OF PEOPLE.THE GOSPELS TELL OF AT LEAST THREE PEOPLE WHOM JESUS RAISED FROM THE DEAD. ONE OF THEM WAS THE DAUGHTER OF A RULER OF THE SYNAGOGUE IN CAPERNAUM; WHOSE NAME WAS JAIRUS. HE CAME TO JESUS TO GET HIM TO HEAL HIS DAUGHTER, NOT TO RAISE HER FROM THE DEAD. HIS FAITH WAS SMALL, BUT HIS SITUATION WAS DESPERATE. HE BELIEVED THAT JESUS WOULD HAVE TO TOUCH HER, SO HE WANTED JESUS TO COME WITH HIM. AS JESUS BEGAN TO DEAL WITH JAIRUS, HE WAS INTERRUPTED BY A WOMAN WITH AN ISSUE OF BLOOD. THE WOMAN HAD BEEN SUFFERING WITH THE AFFLICTION FOR TWELVE YEARS. JESUS DIDN’T TOUCH THE WOMAN; SHE TOUCHED HIM AND WAS HEALED INSTANTLY. THERE WAS A CROWD AROUND JESUS AND JESUS WAS BEING TOUCHED BY SCORES OF PEOPLE; YET, ONLY THIS ONE WOMAN WAS HEALED. WHILE THIS WAS GOING ON, ONE OF JAIRUS’ SERVANTS CAME FROM HIS HOUSE AND TOLD HIM, “YOUR DAUGHTER IS DEAD; THERE’S NO LONGER A NEED FOR THE MASTER.” WHEN JESUS HEARD THIS, HE SAID, “DON’T WORRY, BELIEVE IN ME AND SHE WILL LIVE.” UPON REACHING JAIRUS’ HOUSE, JESUS TOOK PETER, JAMES, JOHN AND THE FATHER AND MOTHER OF THE GIRL INSIDE WITH HIM TO WHERE THE LITTLE GIRL LAY. HE SPOKE TO THE GIRL IN THIS LOVELY FASHION, “MAID ARISE.” HIS WORDS COULD BE TRANSLATED, “LITTLE LAMB, WAKE UP.” THE CHILD AROSE. JESUS BROUGHT HER BACK INTO THIS WORLD OF SUFFERING FOR THE SAKE OF HER PARENTS; NOT FOR HER SAKE. FOLKS, IT’S SIN THAT DOOMS ALL OF US. THOSE WITHOUT JESUS ARE DEAD SPIRITUALLY; JUST AS DEAD SPIRITUALLY AS THIS LITTLE GIRL WAS PHYSICALLY. IF IT WASN’T FOR JESUS, WE WOULD ALL GO TO A SINNERS HELL. BUT, THE BIBLE SAYS THAT WHEN WE BELIEVE IN HIM WE PASS FROM DEATH TO LIFE. WE ARE BORN AGAIN AS GOD’S CHILDREN.